South Texas Health System is asking the public for help finding family or friends, and a home, for Maria Barerra. 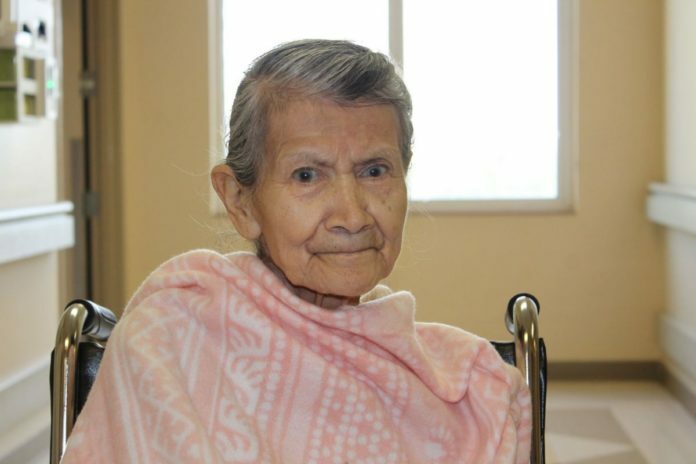 EDINBURG – South Texas Health System is asking for the public’s help in getting an elderly woman back to her home or arrangements for permanent living conditions. In March, an elderly woman going by the name of Maria Barrera was brought by ambulance to the emergency room at Edinburg Regional Medical Center. She was anemic, dehydrated, disorientated and suffering from dementia. Barerra had been helped by an Edinburg family who had been feeding her and giving her a place to sleep; however, Maria left, allegedly wandered the streets and eventually fell. When she was discovered, she was in poor physical health, and that’s when the people she had been staying with called Adult Protective Service. APS notified EMS, and Maria was brought to the hospital. Barerrra has been at the hospital since March 23, 2017. Case workers at Edinburg Regional Medical Center have worked with various agencies in the community and with local, state and federal law enforcement officials, but no information has been uncovered that would help identify Maria and qualify her for any kind of benefits. She is essentially homeless and living in the hospital. Barerra weighs 73 pounds and says she was born in 1937 or 1945. She said she was born in Mercedes and that her father’s name is Jose Barrera and her mother is Celestina but she was raised by her grandmother. Barerra said she worked in a factory in Edinburg making pants. Hospital officials said they can’t be certain of the facts Barerra has provided due to the dementia and a failing memory. If anyone has any information to help identify Barerra and get her into long-term living arrangements, whether it be a long-term care facility or reunited with family or friends, South Texas Health System is asking you to call the House Supervisor at (956) 388-6512. The number is active 24 hours a day. If there is no answer, please leave a message.